52% of small businesses don't have a website. This is a legitimate issue that has to be addressed by a lot of business owners. Having a presence online is one of the most important things that should be placed on top of your priority list if you are thinking running your own business. It could be argued that there are a lot of businesses that do well without having their own website, but you have to wonder how much better they could be doing if they had one. The more you get your business out there, the better chances you have to get more customers. It doesn't even end there. You also have to make sure that your website is an actual site with every page having a purpose.It's easy to make an e-copy of your brochure and turn it into a landing page then call it a website, but if you create an effective website, then you are essentially setting up a storefront for a wider audience. 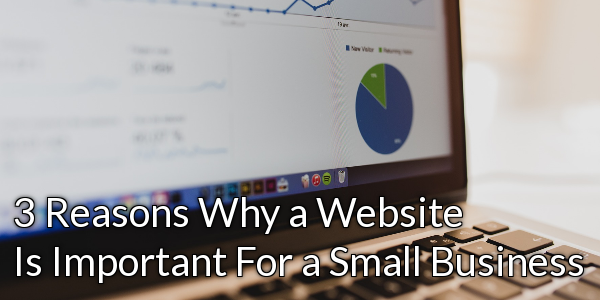 What are the benefits of having a small business website that are often overlooked? One of the most important things that a small business needs is credibility. With internet access being widespread, people are more likely to search about your business online before they make a purchase especially on certain niches. Having a website reinforces your credibility since you will be able to control what information to put out there. Someone who is having second thoughts about buying your product might find it easier to decide if they read about who they're buying from online. If they don't see your website on Google, then they're probably going to think, "hmm, I don't know if I can trust them." By having a website, you are also guaranteeing your customers that you're not afraid to put yourself out there and that you aren't hiding from the rest of the world. Building trust with your prospective customers is one of the best ways to ensure rapid growth with your business. Nowadays, you don't need to have branches of your store in different cities in your state to cater to more customers. You simply need strong online presence. With a website, you are essentially setting up a branch that can be accessed by other people without having to physically go to your store. Your reach will grow and the potential to get more customers is increased. Since you don't have to rent a space, hire new employees and pay extra taxes for a separate branch, you are cutting out the extra costs of expanding your small business. Which CMS Should You Use To Build Your Business Website? If you have a website, you are basically setting up a storefront that everyone can access online. Whether it's using their desktop computers or their phones, a strategically developed website is going to bring in more and more interest to your business as time goes by. Think in your customer's shoes: you want to know the price of one of the products, but it's already 9 PM. Your aunt's birthday party is tomorrow afternoon and you're trying to make up your mind on which bag to buy for her. Thankfully, this particular store has a website where you can order or make a reservation so you can just pick it up at the store in the morning. Sounds pretty convenient, doesn't it? Making sure that the experience is seamless for your customer will mean that they are more likely to bring more business your way in the future. With social media being a major part of our everyday lives, you can even expect your small business to be shared to their friends and family. With so many tools available at your expense, you can get started with your own small business website at one click of a button. For just $3.95 a month, you'll have your own free domain name, unlimited storage and unlimited bandwidth with MasayaHost. Grow your business and expand your presence online today!